What is edible seaweed and how do you cook with it? Succulent and salty, seaweed and other sea greens are the hottest ingredients right now. Their juicy bite makes them a refreshing addition to dishes, their sea salty-kick make them a flavour-packed addition, and they’re healthy too. Food writer, Rachel de Thample tries The Forager‘s coastal findings and shares her guide on how to use seaweed in your kitchen. Sea greens are not only a refreshing, flavour-packed addition to your cooking, they’re also super-good for you. Packed with vitamins and minerals, sea vegetables can help with everything from reducing blood cholesterol, removing metallic and radioactive elements from the body, and preventing goiters. Both sea veg, which grows along the coast, and seaweed, which washes up from the sea, have antibiotic properties. They are said to improve digestion and nerve transmission, and strengthen bones and teeth. To top it off, sea veggies have been researched as a beauty aid for their skin-improving and anti-aging properties. They’re also an amazing source of iron. One tablespoon of dried sea vegetable will contain between ½ milligram and 35 milligrams of iron, and this iron is also accompanied by a measurable amount of vitamin C. Since vitamin C acts to increase the bioavailability of plant iron, this combination in sea vegetables may offer a special benefit. Most of us probably know nori for binding sushi but there’s so much more on offer. 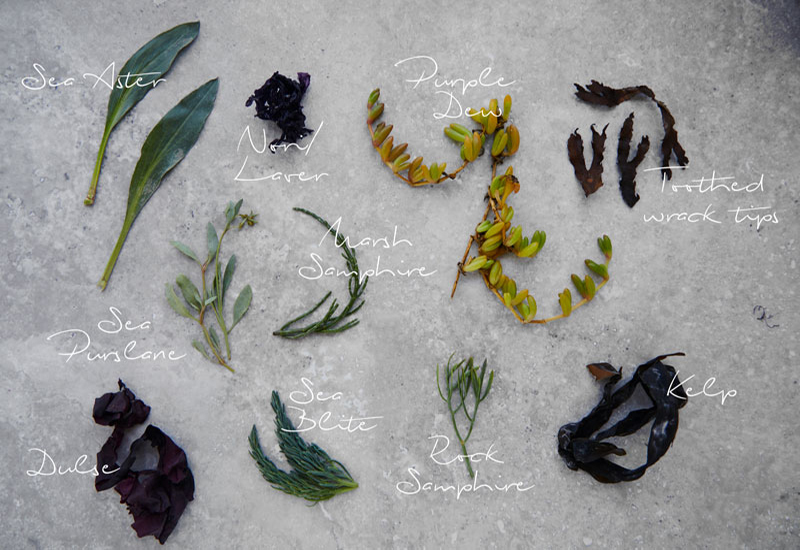 Here are 10 different types of sea vegetable from laver to samphire to get you started. 1. Marsh Samphire is foraged from estuaries along the Norfolk, Essex and Kentish coasts, and is the most common variety of sea veg. It has a wonderful asparagus-meets-seaweed flavour. 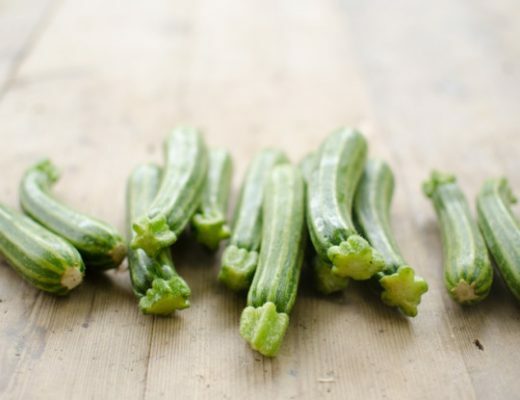 Stunning sautéed simply and served with crab, avocado on toast, or bundled into a quiche. Or do as The Forager does here and toss through with beans and garlic. 2. 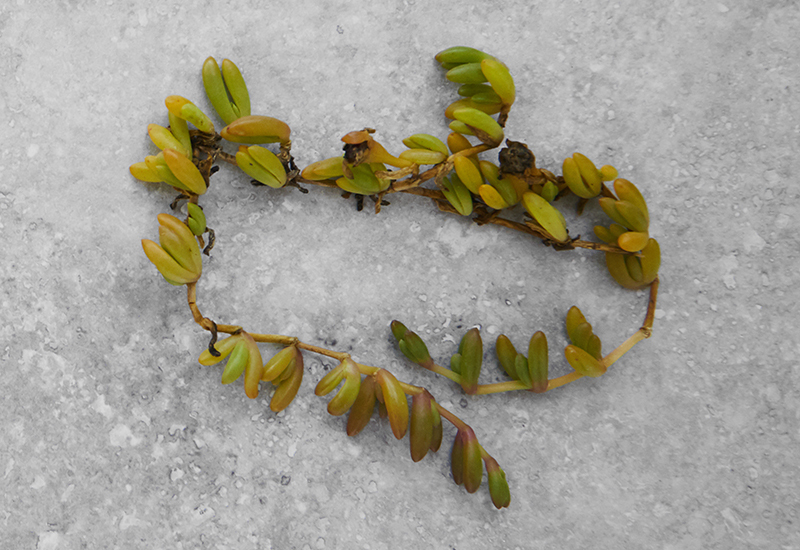 Sea Purslane has small, oblong leaves with rounded tips with a sage-like greyish-green colour and a faintly sage-like flavour, too. When cooked, it goes a vibrant green. It’s delicious tossed with boiled new potatoes. 3. Rock Samphire has a more minerally flavour than marsh samphire and is often referred to as ‘sea fennel’. It’s stunning with pan-fried or thinly sliced mushrooms, lemon zest and juice, melted butter or olive oil, and freshly cracked black pepper. 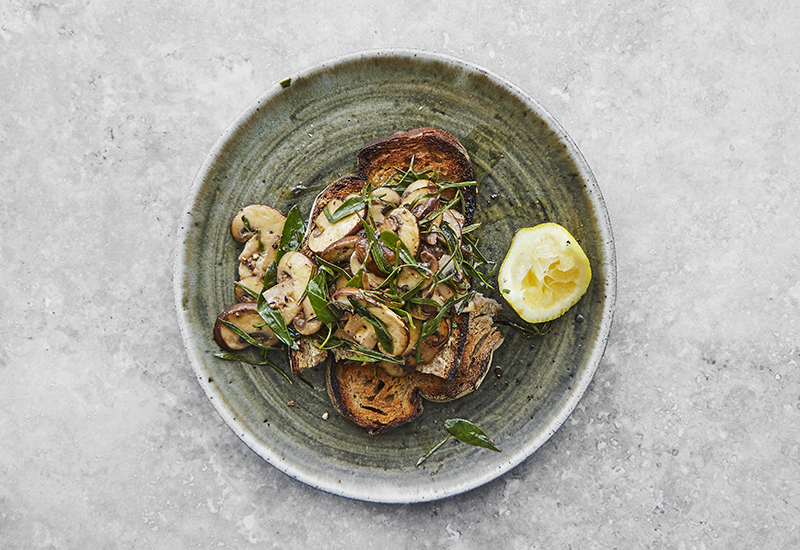 In fact, the trio of fresh lemon zest and juice, mushrooms (raw or cooked) and a little melted butter is a heavenly match for any sea veg or seaweed. You can even whip it all into a paté on its own or with ricotta. 4. Purple Dew Plant has red and green jelly beans that burst with slightly sweet, sea saltiness with a subtle peppery finish. This stunning sea veg is so unique in flavour and texture that it’s worth featuring it as a side on its own, tossed with a little lemon and butter and served scattered over fish or in a salad with thin shavings of raw lamb. 5. Laver, when dried, looks like beautiful purple crumpled silk, with a really delicate flavour which is almost nutty and sweet, with a soft nori sushi wrap flavour. Lovely in a vegetable broth. 6. Sea Aster has sage-like leaves and a delicious, musky, salted pistachio flavour. It’s wonderful paired with raw tomatoes in a salad. Colourful cherry tomatoes with sea aster and sea purslane. Available to buy from The Forager. 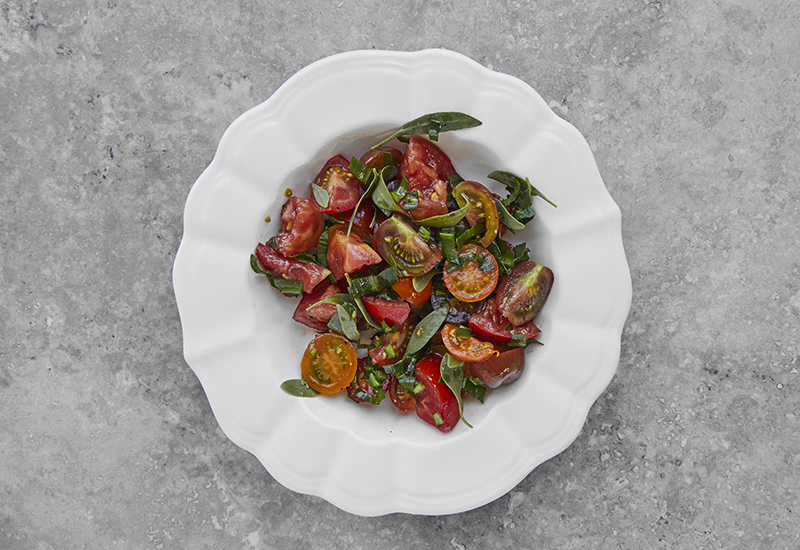 I love halved cherry tomatoes tossed with fresh sea aster leaves. Or you can rehydrate dried seaweed in boiling water until tender, drain, rinse under cold water, roughly chop and mix with slices of fresh tomato. The saltiness of both fresh sea veg and dry seaweed is delicious with a fresh, mildly acidity of tomatoes, and it’s lovely on its own or paired with fish or lamb. 7. Kelp is a rich, smoky salty seaweed and is also known as kombu. It packs a serious umami punch and is an essential component in Japanese dashi. Kelp is also hugely interesting in terms of ecology – the sea is rich with kelp forests which provide amazing ecosystems. You can make a really interesting alternative to salt with dried kelp by grinding it in a coffee grinder until it’s a fine powder. Use like salt, sprinkled over dishes or woven through pasta dough, pastry or blended with sautéed mushrooms and butter to make a paté of sorts. 8. Sea Blite has soft, thin, half-round leaves that look a bit like plump pine-needles. It’s found in Britain’s coastal salt-flats and tidal wetlands and is sometimes known as ‘coastal rosemary’. 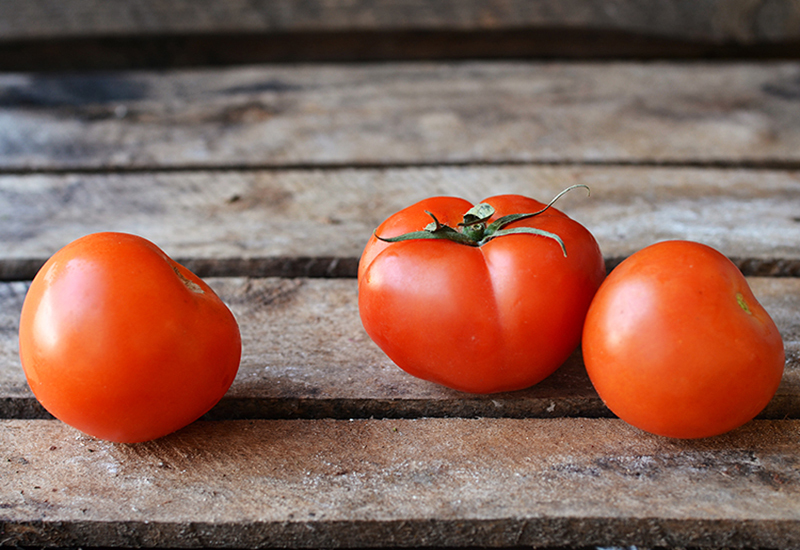 Try it tossed with butter and fresh pasta, or wilted and served on the side. 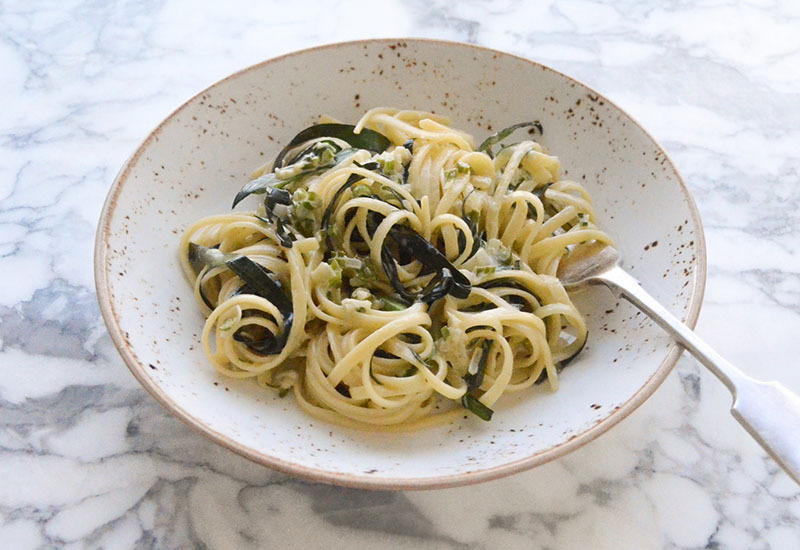 Here’s a quick recipe for sea spaghetti with any sea green. Boil up some spaghetti or tagliatelle (homemade or shop-bought). If you’re using dried seaweed, add it to the pot of boiling pasta 2 minutes before it’s cooked through. Drain and toss with butter or oil, lemon zest, a squeeze of lemon juice and plenty of black pepper. For added protein, finish with a poached egg or an egg yolk. 9. Dulse seaweed is purplish with a more subtle and sweet flavour a softer bite. Delicious stir-fried with spring onions, ginger and pork. 10. 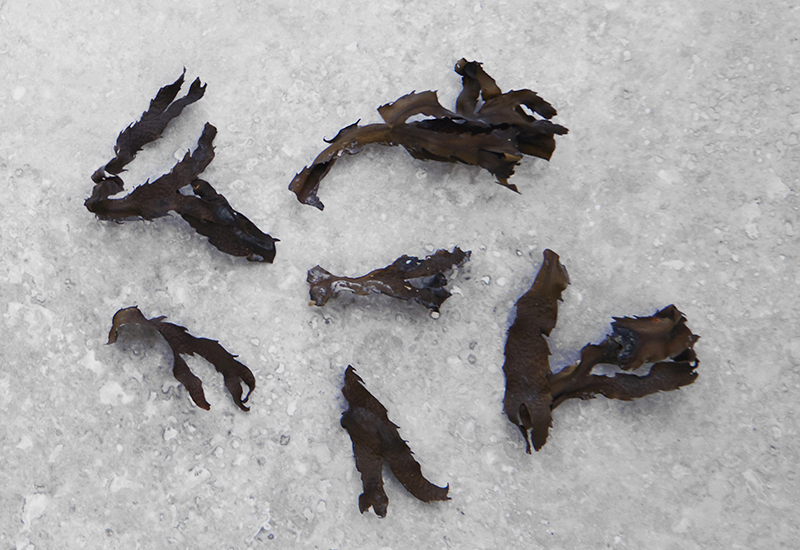 Dried toothed wrack tips taste like oolong tea, with a toasty, rich, umami hit that’s like a tamari-jerky. Dried toothed wrack tips taste like oolong tea! Make the most of their incredible flavour by rehydrating them in a little boiling water, drain, fry in a little butter with some black pepper and serve with scrambled eggs and chilli flakes. Comment below on your edible seaweed escapades. Inspired to cook with edible seaweed? Find a range of amazing sea greens and other foraged finds on farmdrop.com. Discover 5 easy ways to eat wild garlic and read all about how foraged foods are making a comeback. 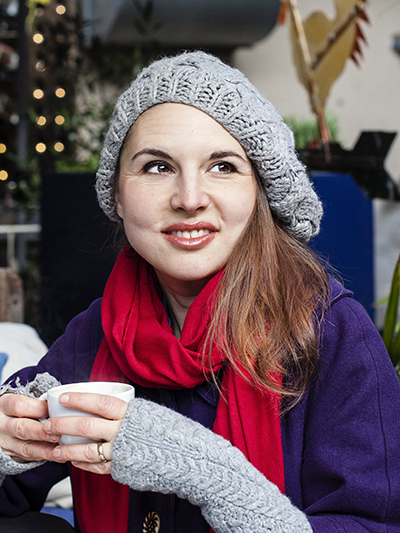 Rachel de Thample is author of Tonics & Teas, Five and More Veg, Less Meat. 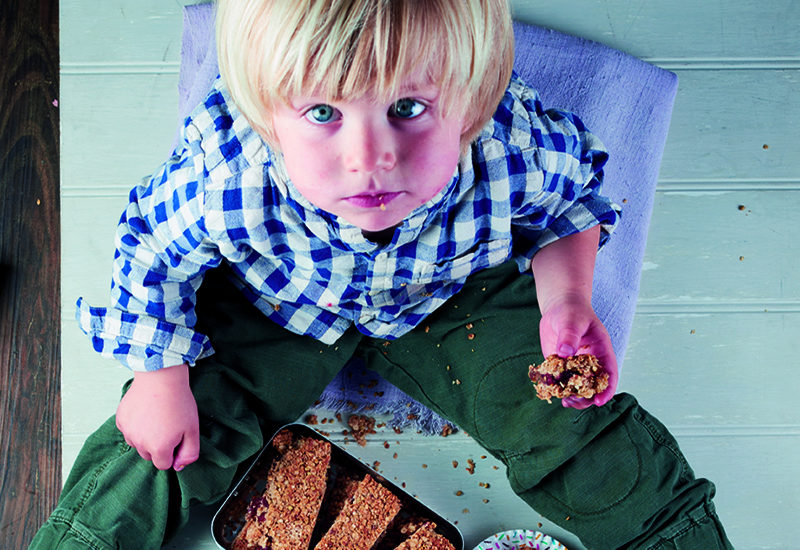 She teaches at River Cottage HQ in Devon and is working on two new books.